The beauty hurts my eyes. Beach huts in Bournemouth – recently decorated in Cath Kidston’s beautiful prints. I’m in love. Yes, it is an advertising stunt, yes, it is to shamelessly promote the brand, but, it just cannot be denied- they are so, so bleedin’ pretty, look at those perky rows of eye-catching colours and prints!! The cloud print is AMAZING for a hut. Seriously, I held my breath when I saw them. Why though? I ask myself. I am a rational person (sort of) stirred by real-world events and important issues, nevertheless, a tiny wee nearly came out when I saw these huts- and a squeal formed at the back of my throat somewhere low and primal-as primal as anyone can be about polka-dots and florals anyway. Excitement (of the wee inducing, squealing kind) is born of love and passion for things. I love beach huts (as is clear) but they are inspirational in a way I can’t fully explain-unhelpful- from she who writes said blog. Others things inspire in this (not fully explainable) way: old-fashioned/timeless photographs; new wool; a brand new book; a very old book; all things VWCampervan; vintage style (in the best sense of the word- not keen on the slightly depressing items that just smell a bit). I am in good company. We all get the nudge, heart-flutter, lift, sigh, intake of breath, urge to run out and create/do something in some form or another. It’s a great place to be, on the verge of producing something, having just been inspired. It’s a legal-high and I believe it’s totally a spiritual thing . I used to ignore the things that made me feel this way, now I stop and give them more credit than simply being preferences. Oh you blue, beauty you. Sigh. … I don’t know about you but I also get really inspired by ‘before and afters’. 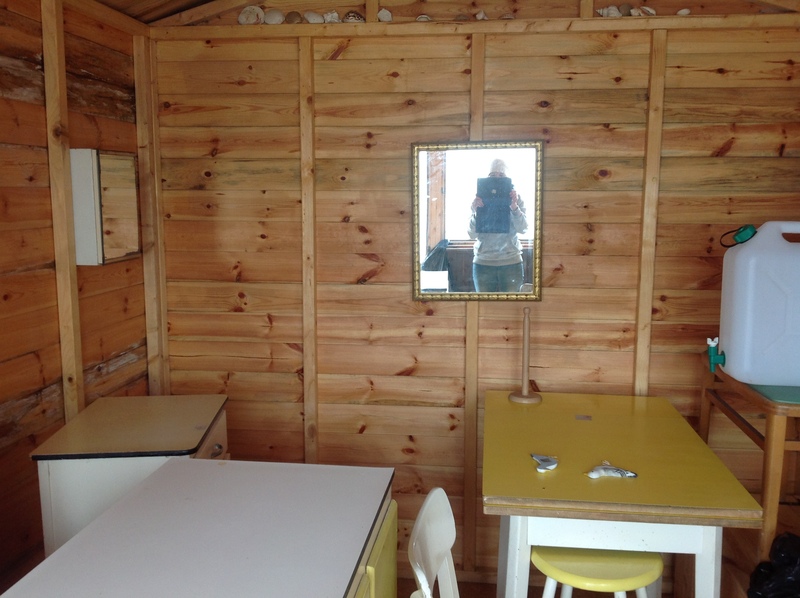 Don’t you love it when you see an image on those DIY adverts of a dingy room -and then after – a light, fresh, airy oasis?! I love the improvement, the freshness of it all. Ever since I can remember I have been obsessed with transformations like this. To witness someone become the best they can be, watch an underdog achieve and have their turn to shine, these are powerful. A shed by the sea. I am having to strongly resist getting discouraged. It is inevitable that things take time. I want to get to so many things and so many days just don’t contain the hours, or at least the non-comatosed ones. I also haven’t been myself lately either and I find my mood dictates how creative I can be. I didn’t know this until I started this blog. I just couldn’t find the ideas, inspiration or motivation. The verve needed to write, even a humble blog post, is something that has to just be there. I needed to find my inspiration and daily life was getting in the way, by that, I mean the grind of life, the dull things, like paying bills. Nothing kills inspiration like the words, ‘direct-debit’. Then there’s the more corrosive stuff like thinking negatively, becoming stuck in a way of thinking. ‘Inspiration’ comes along to invite you out of whatever mud you are stuck in. It is the creative’s best-friend and it cannot be engineered. Inspiration works on your soul in the form of a random attack. Suddenly, something makes your heart leap, or fascinates you, or just grabs you by the collar and jerks you towards it. Years ago, I visited the Van Gogh gallery in Amsterdam and understood for the first time what all the fuss was about, his life, his story and his paintings grabbed me. I was so, so moved, how he had been plagued with mental illness, when this was so misunderstood (still is) and produced paintings that spoke so loudly of beauty. On the same trip, we toured Italy, and to be honest I almost became de-sensitised to the works of art that surrounded me. In Italy, you can be standing on an ancient, work of art and be waiting for a bus. We walked through endless corridors at the Vatican museum and began to switch off. 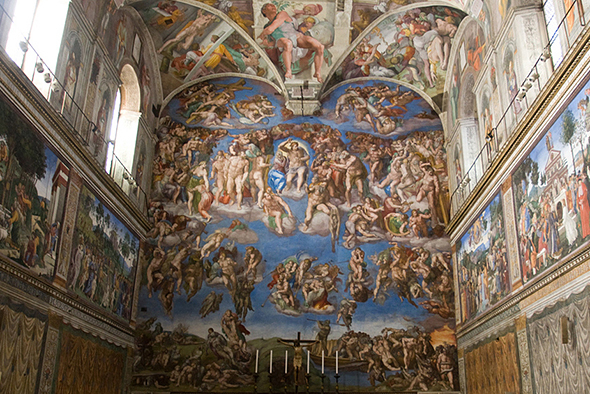 Then we came to the Sistine Chapel. We were told that Michelangelo was almost blind while painting the ceiling – caused by spending so much time elevated inches from the dust above him. He was also being forced to work on it. He had run away many times, but having been commissioned to complete the work, he was made to continue. I couldn’t imagine where he found the ability to create something so exquisitely beautiful in those conditions. Perhaps he just poured his torment into the work like Van Gogh and so many others. It isn’t just visual art, books do this. Most of us can remember a book that grabbed us and left its mark. For me, it was ‘To kill a Mockingbird’, I was very young and I was left humbled by the courage of Atticus Finch and outraged at the injustices in the world, new to my innocent self. I wasn’t the same after reading it. There have been many examples since. Harper Lee, however, found it very difficult to write and suffered great personal trials whilst writing and afterwards. Maybe we need some angst – it is the typical portrayal of the artist isn’t it? So, it may be that I need to write even when I feel like burying my head. Crack on, to push through the mood barrier. It may be necessary then to seek inspiration like a medicine for those times when I don’t feel up to pursuing anything much at all. A great song, a great book, or in my case today I simply came across these beach huts and it inspired me to get back to the hut and to my writing and to finish what I have started.